Distribution ERP software manages logistics operations as well as front- and back-office activities of wholesale and distribution companies. This type of software is used to determine product demand and ensure that products sold are delivered on time. Distribution ERP is used mostly by departments in charge of inventory, warehousing, and logistics. Since distributors sometimes combine products before selling them, most distribution ERP software offer features for assembly and kitting. Most distribution ERP solutions also provide modules for accounting, sales, and purchasing, and sometimes human resources. Since not all distribution ERP products include all the modules mentioned above, they usually integrate with accounting software, CRM all-in-one software, or HR management suites. For advanced supply chain management and e-commerce needs, distribution ERP systems also integrate with supply chain suites and e-commerce platforms. Distribution ERP reviews by real, verified users. Find unbiased ratings on user satisfaction, features, and price based on the most reviews available anywhere. TrueERP offers a solution for third party logistics, whether you require freight forwarding, warehousing storage or transport distribution. TrueERP for distribution has the depth to provide rich functionality to help you deliver. ABRA gen is a comprehensive software system which reliably covers the corporate processes of medium-sized and large companies – thanks to a range of existing modules and the possibility of customised solutions. It supports the administration and operation of the entire company – from the organisation of business activities through stock management, production, and providing services to bookkeeping, reporting and decision-making support. Thanks to its large variability, it is applied in all business sectors and is used by more than 9,000 companies. ABRA supports entrepreneurs providing them with excellent services and products that free their hands to devote to their business development. ABRA Software develop cutting-edge software used by tens of thousands of customers in more than 50 countries all over the world. The company has a representation in the Czech Republic, Slovakia and Switzerland. The Access ERP system is built for SME Manufacturing, Retail and Logistics operations. Access SupplyChain is an ERP software for supply chain firms that automate operations and provide the information needed to make timely decisions. Accolent ERP is web-architected software for wholesale distributors written using the Microsoft and web technologies. Advanced Supply Chain Software was developed in partnership with industry and supply chain experts to deliver unprecedented supply chain visibility, optimization, and results. Advanta TMB is an integral ERP information system that provides a complete solution of the highest technology for your company or industry. It allows the effective and efficient management of the company's resources in the areas of purchases, inventories, production control, sales, human resources and finances; at an operational, tactical and strategic level. Naturally integrating all areas of your company. Agility is the #1 Enterprise Resource Planning (ERP) software for the building materials industry. Every aspect of operations is covered; from production/procurement through distribution, delivery, and back office accounting. More than 400 building material wholesalers, remanufacturers, dealers and distributors use Agility as their mission-critical inventory and order management platform. Works Applications produces Enterprise Resource Planning (ERP) software for human resources management, financials, e-commerce and supply chain management. ALERE Manufacturing draws on the extensive real-world manufacturing experience of our in-house staff, as well 30 years of feedback from our installation base, to provide streamlined solutions for common issues over which many other manufacturing centric ERP packages, material resource planning (MRP) solutions and work order tracking software stumble. Expand your business faster and focus on profitable growth with eCommerce as a Service. AMT is an industry leading, stateof the art ERP and Supply Chain Solution for Importers and Manufacturers. AMT is a robust, user friendly application, envisioned and developed by leading industry experts with over 100 years experience in the Manufacturing and Technology fields. Inventory Control, Manufacturing, Repair Work Orders, Rental Functionality,.Sales Order, Purchase Order, Transfer Order. Receive it, Assemble it, Pick, Pack and Ship it. Hands Free ERP utilizing RFID, Wireless Barcode Scanning, Bar Code Label Printing. Manage your warehouse, inventory control, assembly, rma, repair and refurbish work order. Our seamless integration with strategic partners that include: Accounting Seed, FinancialForce, Intacct, QuickBooks, Xero, Magento, Shopify, Amazon, ZenKraft, Kulturra, and and our financial planning tools has made full ERP in salesforce a reality. Assist 2K is a lot control software, document / image archiving software, inventory software, landed cost software and CRM software that are fitted to companies that require lot controlled inventory, import / export capability, special customer contract pricing and software than can support a large numbers of transactions. beas Manufacturing has 13 specific manufacturing industry solutions. 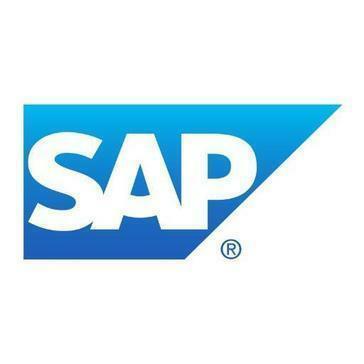 They are all 100 % based on SAP technologies & tailored for SAP Business One. Is your business running multiple apps ? In a nutshell, BizAutomation takes away the pain of running your business on multiple apps. No more servers, no more Accounting here, and CRM there, etc... everything just runs beautifully on one exquisitely integrated cloud service. We call this the cloud ERP for smaller SMBs. For many smaller businesses this means they can finally replace QuickBooks, and all the other core apps that support it. The benefit is that all your departments will run on a single database cloud suite without data duplication, which is what you get when you "connect" one app to another, or even worse.. no connection at all, which means your data is runing on islands of apps. For some smaller businesses running expensive ERPs such as NetSuite, or Acumatica, which they didn't realize were expensive until after taking the plunge, you'll be happy to hear that our pricing is all inclusive. No games, no bait and switch shenanigans. A comprehensive web-based ERP Solution for Distribution and Supply Chain Management. Bizpro is an application enterprise resource planning system for sales and distribution, procurement and Inventory management, material requirement planning and TDS accounting. Blue Link ERP provides integrated inventory and accounting ERP software for small-medium size businesses and is best suited for those in the wholesale and distribution industry. As an all-in-one system, Blue Link helps businesses streamline and automate their processes by providing inventory management, accounting, order entry, warehouse management, and customer relationship management. In addition, Blue Link provides various optional components such as POS, lot tracking, landed cost tracking, eCommerce integration and barcode scanning and can be customized in order to meet the specific needs of clients. Blue Link ERP is offered as both a hosted (cloud based) and on-premises solution. CentralBOS is a cloud-based, mobile, Software-as-a-Service (SaaS) solution with user-defined roles, multiple levels of security for data storage and user access and provides information that can be accessed by all departments and eliminates individual solutions for each department and the repetitive, error-prone input of data. Our flagship ERP product Clear Enterprise supports all core business processes from supply chain through to customer management, resulting in a solution that goes beyond traditional accounting systems. Meet Infor CloudSuite Distribution Enterprise, a complete distribution solution that combines the benefits of the cloud with functionality that's built specifically for large, global wholesale distributors with complex and evolving business models. Backed by decades of industry expertise and continually enhanced with the latest innovations, it's designed to help distributors modernize, innovate, drive competitive differentiation, and grow. CommonThread is time-proven, highly secure, cloud-based business management and reporting tool. Our consistent user interface enables rapid implementation, reduced training costs, and ease of use. Our modules include Projects & Work Orders, Resource Allocation, Time Tracking, Sales Tracking, CRM, Invoicing, HR functions, Purchase Orders, Inventory Management, and Quickbooks integration. CommonThread is the right choice for organizations that want to control their process and coordinate their staff. Conveyorware is a full-featured cloud system that will support a diverse cross-section of industries. ebizframe is an internet and web based ERP software, can help you share information between various departments/functions and let them collaborate better and help all of them to move towards common organizational goals..
e-intelliprise empowers your entire organization with information and the front-to-back office infrastructure to turn your e-vision into business value, whether you began as an e-business (clicks) or a traditional business (bricks). Hi there! Can I help you find the best Distribution ERP solutions?